The moment that the pumpkin pie is cut on Thanksgiving, that holiday is officially over, which means that we can turn our sights on Christmas. While you might want to wait a few hours to pop in that first Christmas movie, I must admit to watching one or two on Thanksgiving before. There's just something wholesome and life-affirming about a good Christmas movie that adds to the joy of the season. Unless you're watching It's a Wonderful Life, there's a whole lot of bleak before you get into the yuletide spirit with that one. But hey, if there's anyone who could turn an attempted suicide around into a feel-good holiday classic, it's my man Frank Capra. When it comes to holiday films, you have your pick depending on your mood. Whether it's a traditional classic or a new cult classic, everyone has their favorite Christmas movie. A newer film that has been slowly climbing the ranks for me is the irreverent Elf. 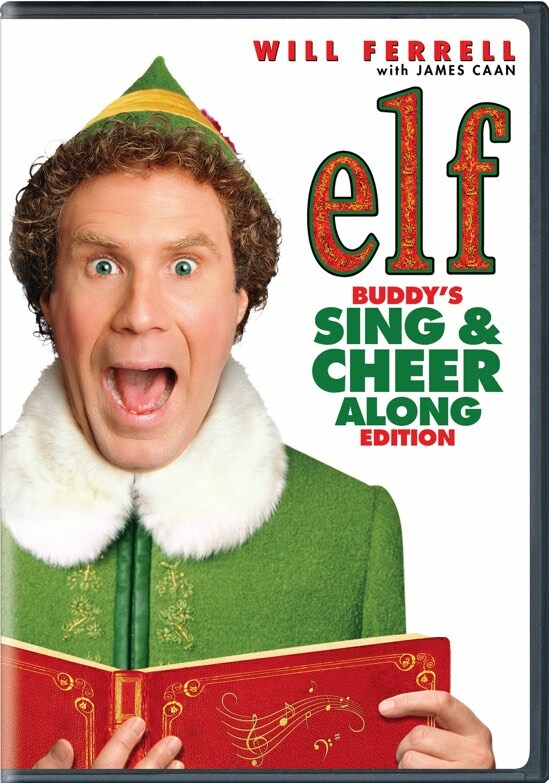 Released in 2003, Will Ferrell plays Buddy a human "elf" that accidentally winds up at the North Pole as a baby after one of Santa's great trips. He is adopted by an elf and is raised him like any other elf. Buddy is clueless about his true heritage until he finds out as an adult that he's really a human. He sets off to New York to look up his real father and hilarity ensues. This week, Elf debuts a new "sing and cheer along" edition and it's even more spectacular than you could imagine. At first, I was skeptical of what clearly looked like a cash grab, but my fears were quickly put at ease as I began this new journey. I mean there's a pretty good chance that you already own Elf, so why should you upgrade? Well, let me just say that you've never seen Elf in a way that resembles this version. Beyond the gimmicky sing and cheer along aspects, there are actually tangible new features on this 15th-anniversary edition that will entice both diehard and casual fans of Elf. If you were a fan of those "pop up" music videos back in the day, then you have some idea of what you are getting into. Onscreen features such as "Buddy's Big Book of Elf Culture" and "Fun Facts and Trivia" will entertain and challenge your wits as Buddy progresses on his journey. And if you have a sweet tooth and a strong constitution, then you might be interested in Buddy's bizarre "Sweet Treats" recipes that flash on the screen during pertinent parts of the film. There are also cameos from "Buddy's Buddies" and "The Clausometer" that tracks Buddy's holiday spirit. My kids have seen Elf many times, but they have never gotten as excited about it as my wife and I. When they stumbled upon this version of the movie, they were transfixed by the extras that would pop out from time to time. The Sing & Cheer Along Edition of Elf truly has become a new family tradition that takes our silly enjoyment of this film to the next level. If you are unsure about ditching your old version for fear of losing the bonus features, fear not. This two-disc version includes both the Sing & Cheer Along Edition and the previously released version and all of the bonus features that were also on that disc. In other words, you lose nothing, but gain a whole new wonderful experience of this new cult classic.